So we had this major snowstorm bust here in the NYC metro area. 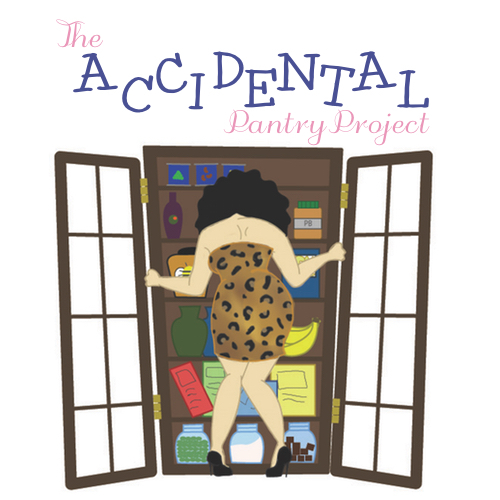 I thought we would have been snowed in for a few days, so I took my pantry project on the road to my sister’s house. Since I live alone, figured it would be more fun to be snowed in with my nephews (who are 7 and 5) in a big house than cooped up in my apartment. Not wanting to lose steam on my project, I grabbed red lentils, chopped onion, super grains (a mix of quinoa, buckwheat, and millet), yogurt, and curry powder. 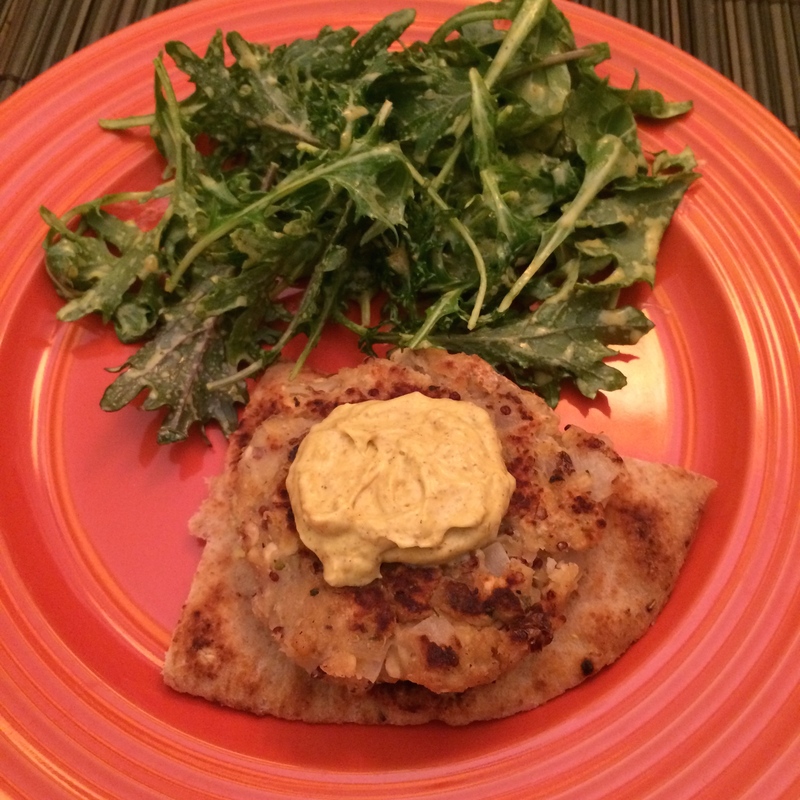 I had a vision of Lentil Cakes with Curry Aioli, and it was going down at her house. I am so happy I made this recipe “on the road” and had more people to feed than myself. My nephews would not go near the food (though they did stir the sauce), but my sister and brother in law were thrilled with the meal, especially how it got them thinking of ways they can vary this dish. Even before we ate, we already did one variation, which was using the aioli as a base for salad dressing, and combining heads we created a simple, snowed-in feast. Note: Seasonings were what was on hand. The pizza seasoning was comprised of oregano, marjoram, basil, onion powder, garlic powder. Had I made this at home, I would have used thyme and marjoram. Feel free to season the mixture as you would like. Whisk all the ingredients in a bowl until well incorporated. Aioli should be a nice buttercream yellow color. Taste and adjust seasonings as need. To make a salad dressing, combine 1/4 cup dressing, 1-2 tablespoons olive oil, and 1-2 tablespoons white wine vinegar. Thin the mixture out with a little bit of water, to desired flavor and viscosity (I used about a tablespoon). Taste and season with additional curry powder, salt, and pepper if necessary. Toss with your favorite greens. 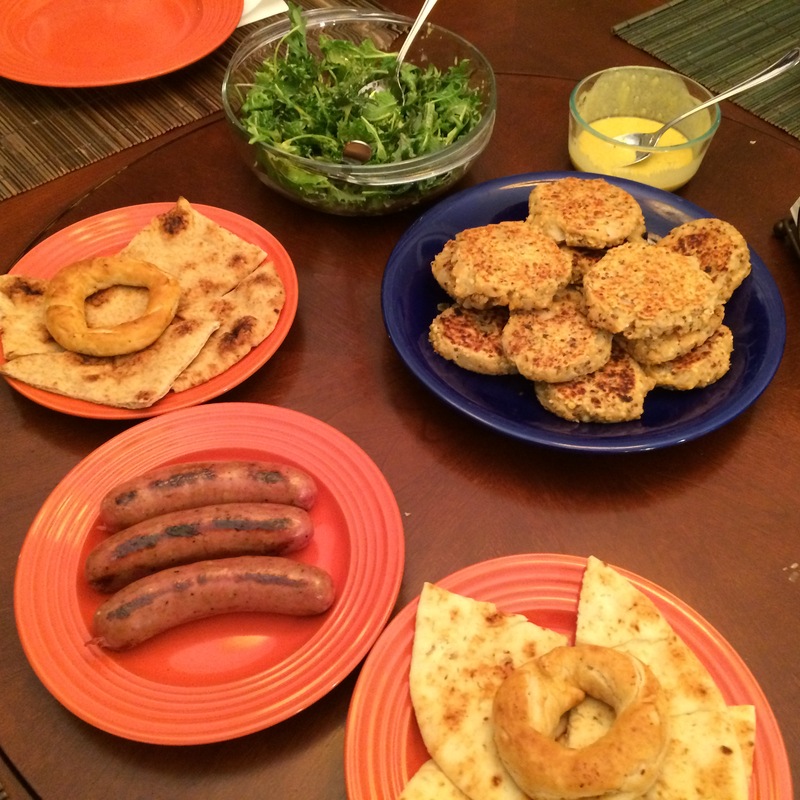 This entry was posted in accidental pantry project and tagged accidental chef, accidental pantry project, curry, curry powder, dressing, family meal, lentil cake, lentils, snow day, snowmagedden, vegetarian by Anna Papoutsakis. Bookmark the permalink.